Searching for oneworld award space isn’t as easy as searching for Star Alliance award space. With Star Alliance, you can simply use United.com and the website will display many flight combinations on ALL Star Alliance Airlines. With oneworld, you can use AA.com to search for select oneworld airlines and AA’s website will usually display lots of options, as well. However, the major downside is that AA.com does not display all oneworld airlines and therefore the next best option is to use the British Airways Executive Club search tool. 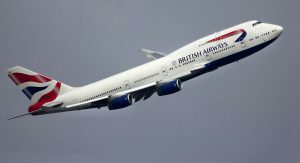 The important thing to note is that the British Airways search tool will generally NOT display more than two flights (one connection) – while your desired routing might have award space, nothing is guaranteed to show up on British Airways unless searching segment by segment (i.e. 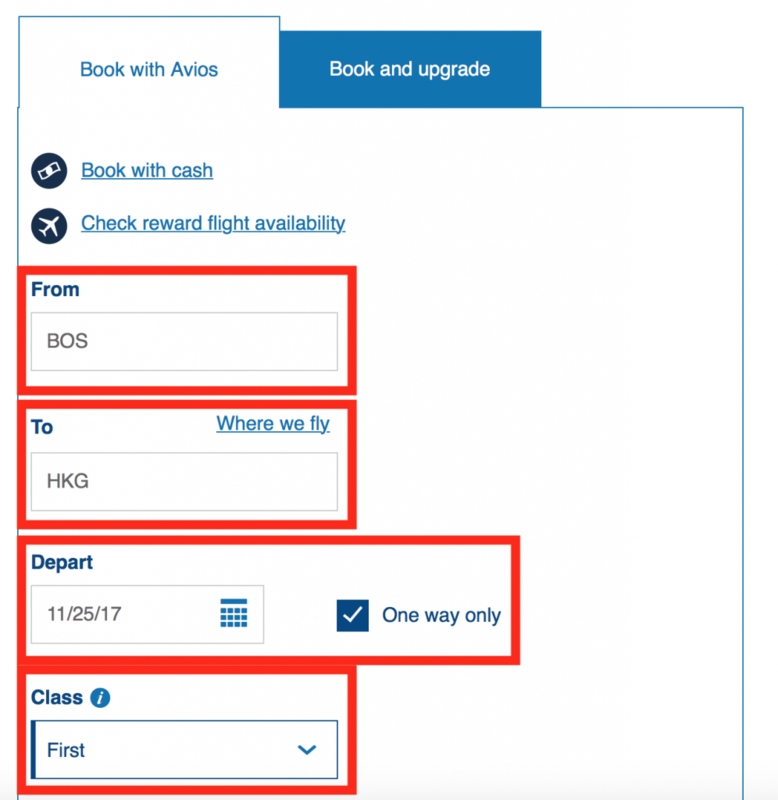 Boston – Hong Kong – Bangkok might not show up, but if searching each flight separately it should if there is award space). British Airways’ website isn’t perfect and therefore if you find yourself getting errors, it is best to switch browsers or clear your browser history. To verify award space found on BA’s website, you can always call American Airlines (and hold the flights for free for 5 days if you wish). To begin you search, you should have in mind what oneworld airline you would like to fly and if they fly that route. My favourite way to check if an airline operates the routing I want, is to visit the airport Wikipedia page and check to see what airlines operate flights to/from that airport. For example, if I want to fly Cathay Pacific, I would visit Hong Kong Airport’s Wikipedia page and see where Cathay Pacific operates flights to/from Hong Kong. 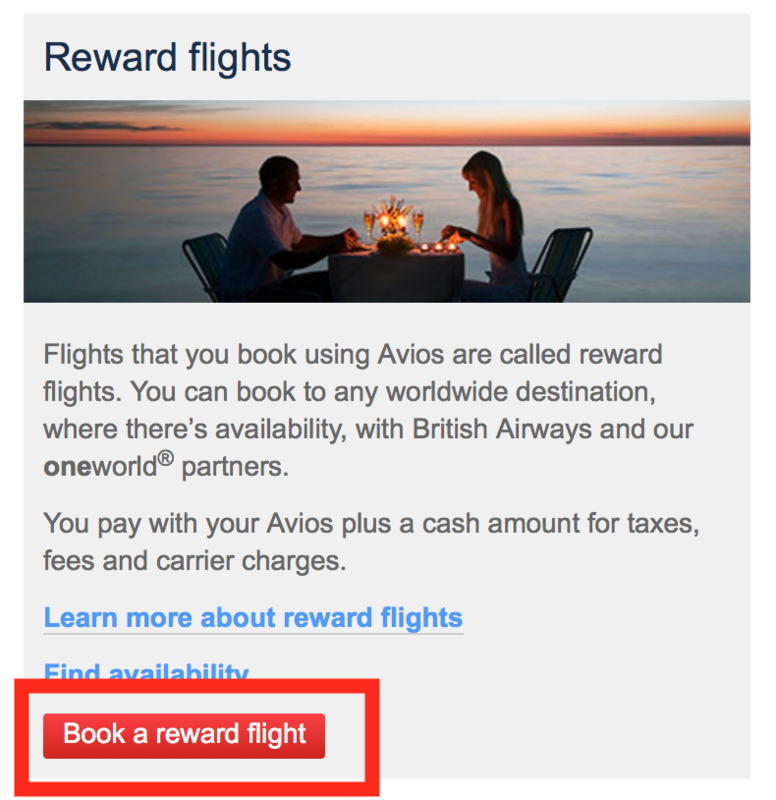 You will need to scroll down and click on “Book a reward flight” under the “Reward flights” section. Once you click the button, the website will ask you to login to your British Airways Executive Club account (if you aren’t already logged in). Once you have logged in, you will be presented with the “Book flights with Avios” page where you can type in your desired route and date. You will want to also check the box that says “One way only” – searching one-way at a time is much simpler and quicker. Finally, select your desired class of service. As you can see, on our desired route and date that we initially typed in, we have 1 First Class seat and 2 Premium Economy seats available using miles. If there is no availability on your desired date, simply click on the calendar above and check other dates. You can repeat the steps above to search for connecting flights or other itineraries. Once you have located oneworld award space using the British Airways website, you can book these flights using any oneworld miles. Keep in mind the routing rules and permitted flights on award tickets will apply from whatever airline’s miles you are using. So if you are using American Airlines miles to fly Cathay Pacific, the award rules of American Airlines will apply since AA is the issuing airline of the ticket. How many miles will the ticket cost me? The ticket will always cost the amount of miles required by the issuing airline (the miles from the airline that you are using). For example, if I am booking a Cathay Pacific flight using American Airlines miles, AA determines the cost in miles – not Cathay. So the same flight might cost 70k AA miles when redeeming through American Airlines or 100k Cathay Pacific miles if redeeming directly with the airline. It is always wise to check which airline offers the same flight for the lowest cost in miles. Searching for oneworld flights using the British Airways website is relatively easy. Remember to always search segment by segment and not the whole itinerary at once – BA’s website will usually not display flights with more than one connection (if that). Some oneworld airlines allow you to book award flights online (like British Airways) while others (like American Airlines) will ask you to call in to book partners that aren’t bookable online. American Airlines will waive the phone booking fee if you cannot book award flights online. There’s no easy way to search for ALL oneworld award space at once and get a lot of results (like you can with United’s website for Star Alliance), so it is always best to break-up your flights and search segment by segment and then you can call in and ask for a manual reservation to be created based on the flights you would like that have award space. As always, if you have any questions, please post them below and I wish you happy searching and booking!